Flush Fit Anchors are a versatile form of post support. Ideal for a fence or boundary on an existing hard surface such as concrete or brick. The Flush Fit Post Supports are perfectly designed so that they could be made a feature of. Due to them having a smaller base plate they can still be fitted if space is at a premium or access is restricted. They can also be used to support decking, pergolas or carports. Manufactured form heavy duty galvanised steel for maximum strength and durability. 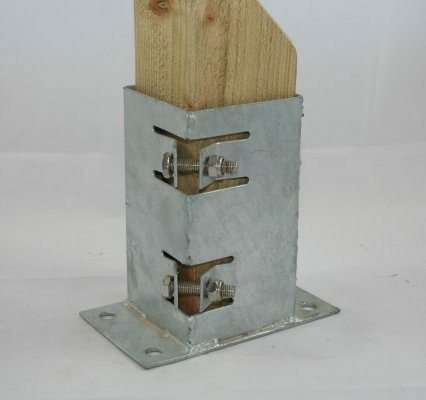 We recommend using a form of concrete multi-bolt to secure them to the ground. both are approximately 150mm tall. 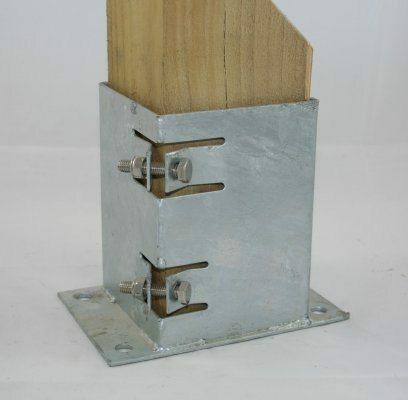 Bolt-Downs in general help reduce the risks of timber rotting at ground level as they keep the timber from making contact with the ground which is where most rot occurs. 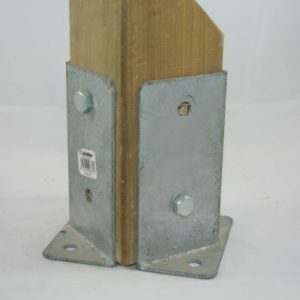 Spike supports suitable for going into firm ground also allow you to keep your posts from ground contact. 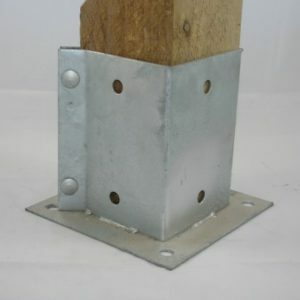 Repair spurs allow quick repair of concreted in posts that have rotted off. 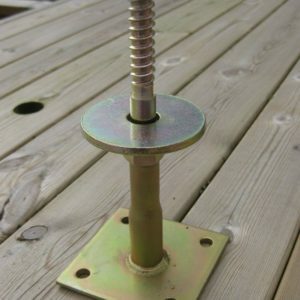 Concrete in bolt downs give a secure ground fixings to your post support for a more permanent stable fixture. Ground Sockets to concrete allow a quick installation for an elevated post. 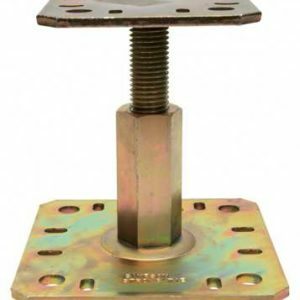 Simpson Strong-Tie elevated post supports both fixed (PPA100) and adjustable supports (PPRC) are in stock, PBH75 and PBH120 are special order.